Sharpies are everywhere today. Offices, schools, bars, restaurants, store checkouts, Starbucks and most homes. 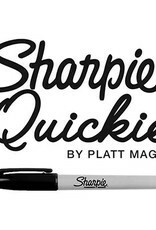 At any moment, you borrow a Sharpie (or use your own) and with otherwise totally empty hands, right in front of their eyes, you break off the clip and instantly restore it. With no switches or any funny business you immediately hand it back out. You're clean and they can walk off with their own marker, which is now an impossible object! 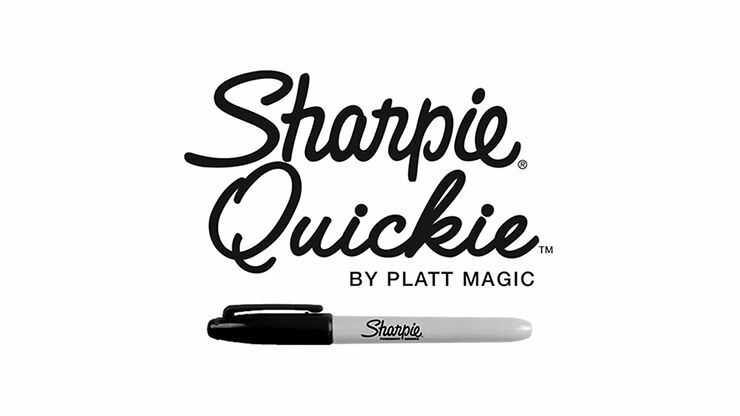 And if you use a Sharpie for your own magic, Sharpie Quickie is the perfect follow up effect. There's nothing else to carry. As long as you've got your Sharpie you're always ready to go. Comes with precision crafted gimmick and video explanation where Brian takes you through four of his favorite handlings.